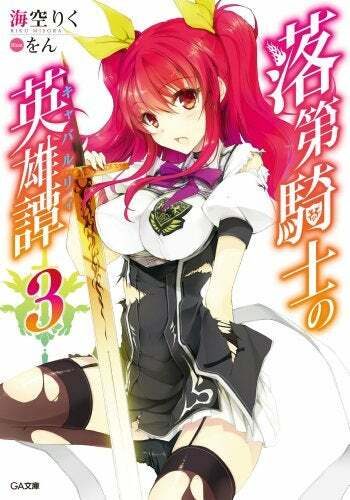 In the Pages of the Monthly Shonen Gangan Magazine it was announced that the Light Novels, A Chivalry of the Failed Knight will get an Anime Adaptation. The Story takes place in a world where there are Magic Knights, Magic Users who use weapons that come out from their souls. Ikki Kurogane is one of those Knights, but he is "a Failure" or the "Worst One" since he has no Magic Skills. One day, he is challenged by Stella , a Foreign princes and the "Number one Student"; in this duel, the loser must be obedient for life. Six Volumes has come out from the Light Novels, The Manga based on those Novels is published in Shonen Manga Gangan.